ENCINITAS — Forget about “When Harry Met Sally,” how about when Huda met Hadi? In the new memoir, “First Comes Marriage My Not-So-Typical American Love Story” written by Encinitas author Huda Al-Marashi, you will learn more about this non-traditional love story. Al-Marashi met her husband Hadi, when she was 6 years old; they’ve now been married for 20 years and have three children between the ages of 15 and 7. Both are the American-born children of Iraqi immigrants, who grew up on opposite ends of California and who ensued a litany of ups and downs. “Hadi considers Huda his childhood sweetheart, the first and only girl he’s ever loved, but Huda needs proof that she is more than just the girl Hadi’s mother has chosen for her son. She wants what the American girls have — the entertainment culture’s almost singular tale of chance meetings, defying the odds, and falling in love. She wants stolen kisses, romantic dates, and a surprise proposal. As long as she has a grand love story, Huda believes no one will question if her marriage has been arranged,” according to the book. Both of their conservative Muslim families forbid them to go out alone before their wedding let alone steal any kisses or even hold hands. As we learn in the book, Al-Marashi must navigate her way through the despair of unmet expectations and dashed happily-ever-after ideals. And so, the story goes but “First Comes Marriage My Not-So-Typical American Love Story” didn’t come to fruition in a timely manner; it took Al-Marashi more than 10 years from start to finish to get the book off her desk and finally published. She also wanted her Muslim readers to see themselves reflected in a love story. “Muslim artists have been under so much pressure to respond and speak to the post 9-11 experience in their work, but Muslim audiences are hungry to see themselves in ordinary, everyday stories that speak to love and heartbreak,” Al-Marashi said. 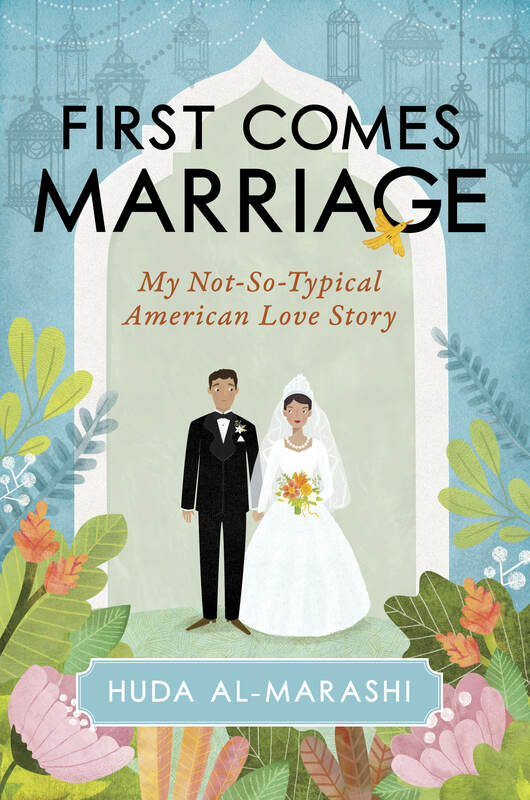 And while “First Comes Marriage My Not-So-Typical American Love Story” is meant to be a memoir, one might wonder how closely it mirrors her life’s journey with her husband. There were other conflicts and other joys, too. In that way, a memoir will always have a bit of an element of fiction to it, she said. Writing a book is difficult enough, as most authors and writers will attest, but writing one about your own life is twice as hard, she adds. “The most difficult part was being really honest about things I did not want to share but I knew the story required,” Al-Marashi said. “It was extremely difficult for me to write through some of the more private moments of my life, but I knew it would be disingenuous to tell a story about a newlywed couple without acknowledging physical intimacy. But on the flipside, the best moments were the true moments of self-discovery, she said. 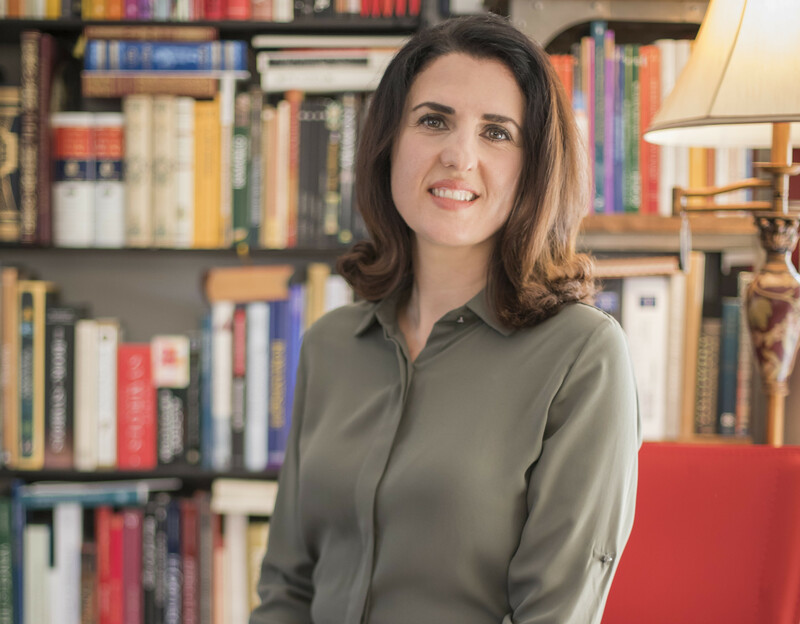 “What I love about the work of memoir is that it forces you to challenge that shorthand narratives that we all have stored in our minds,” Al-Marashi said. “Our memories are full of stories where we assign causes and blame, but when you sit down to write through a moment, you have to stand back and interrogate that memory. “You have to ask yourself, was that really what happened? Was that really what I thought back then? And, then you have to do the same work on the behalf of your other characters in that scene, too,” she said. As for the memoirs main message. she said she hopes readers will take away something of value once they turn the last page. “Most memoirs answer the question of, ‘How did I get here?’ and in order to do that, the writer has to unravel this tight little knot of identity and see the way culture, religion, family, socio-economics and education intersected in his or her life,” Al-Marashi said. In her story, she was trying to look at the way all those influences, particularly coming from a bi-cultural identity, shaped her expectations of what it means to be in love. So, what does her husband Hadi have to say about his wife’s book and sharing their private life? She shared with him a later draft, when she felt like she was confident enough in the work that his reaction would not derail her creative process, and then they talked a lot.